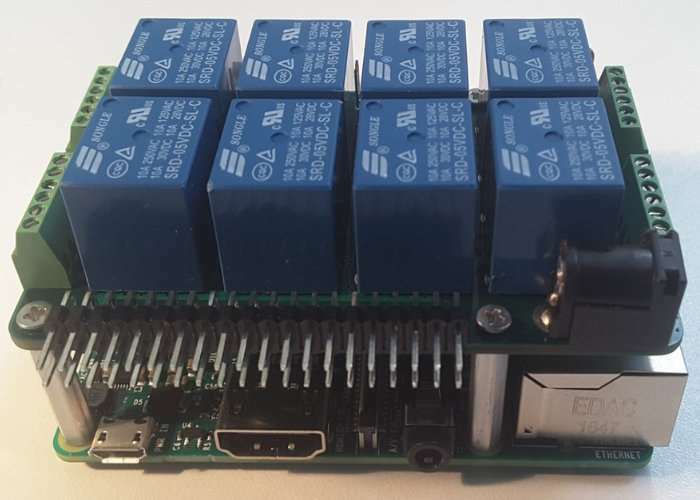 Raspberry Pi enthusiasts looking for a way to expand their home automation systems or start creating, may be interested in a new stackable Raspberry Pi Mega-IO expansion card which has been created by Mihai Beffa based in Cupertino California. The Raspberry Pi accessory adds 8 x on-board relays, 8 x 12-bit ADC channels,12-bit DAC output, 8 x opto-isolated inputs, 4 x open collector outputs, 6 x GPIO’s to your project with ease. Watch the video below to learn more. • Eight relays for zone heating. • Eight relays for zone cooling. • Eight relays for irrigation. The small tower gives all the relays needed, and more than enough analog and digital channels. It also leaves the Raspberry Pi connector available for another card, if we ever need one. Technically, the Mega-IO card is not a HAT, because it’s form factor is too big – it occupies all the real estate on top of the Pi. In all other aspects is HAT-compliant, so we’ll call it an X-HAT (eXpanded HAT). We developed a command line utility which accesses all the IO functions, available for download HERE. The easiest way to develop browser software for the Mega-IO card is using the Node Red, a drag and drop visual tool which runs on the Raspberry Pi and can be used for wiring the internet of Things. Click HERE to download a Raspbian operating system image which includes Node-Red and the following examples for accessing Mega-IO functions. Mega-IO is now available to back via Kickstarter with early bird pledges starting from just $25 and delivery expected to take place during March 2018. For full specifications and more information jump over to the official Kickstarter campaign page via the link below.